Loyalty points are collected via Kallea’s booking system which creates and stores all of your appointments and booking details. After payment for each treatment at Kallea you will automatically collect loyalty points which are credited to your account on the booking system. For every £1.00 spent you earn 1 point. In order to redeem your points a total of 100 points need to be collected. Once you have collected enough points you can use these against the cost of your next treatments. Points are not collected from the purchase of treatment courses as these are already discounted. Points can not be used to pay for any products purchased at Kallea only for treatments. 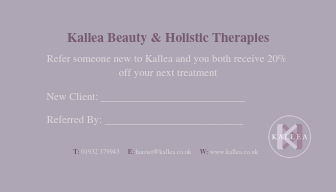 Refer a new client to Kallea and you both receive 20% off your next treatment. 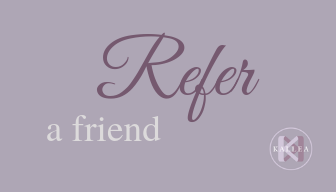 Referral cards are available to pick up at Kallea, or quote your friends name when booking. Varying special offers are run throughout the year at Kallea. These offers will be listed on this page, on social media and via email. Make sure you follow Kallea on Facebook, Twitter & Instagram to be the first to see the latest offers! Kallea also offers treatment courses earning discounted or free treatments. Click here. 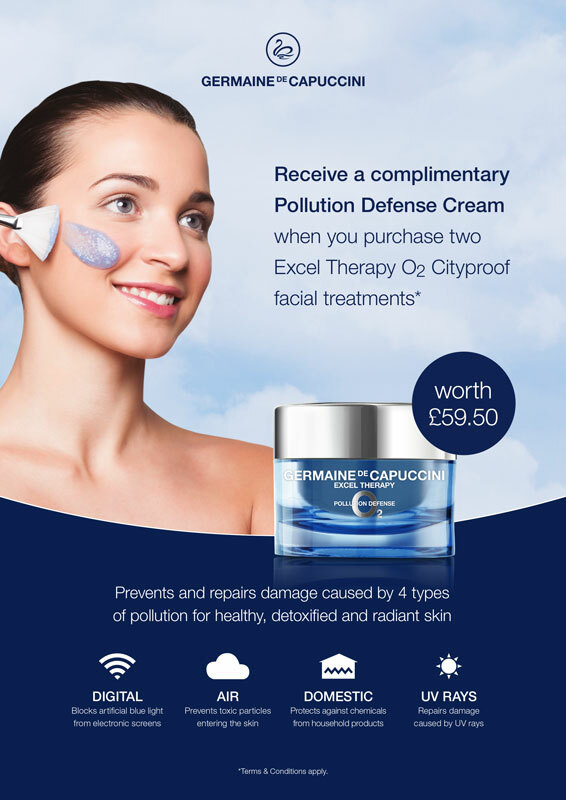 During April – June when you purchase 2 x Detox City Proof Facials you will receive 1 x Germaine de Capuccini Excel Therapy O2 Pollution Defence Moisturiser completely FREE. Pollution Defence Moisturiser is from Germaine de Capuccini’s top selling skincare range. This moisturising cream protects against the 4 main types of pollution whilst boosting the skin’s oxygen levels to prevent the early signs of ageing and brighten the complexion. For normal/dry skin types. This moisturiser will compliment and work simultaneously alongside the Detox City Proof Facials. Payment for the 2 facials must be made up front at time of enquiring or at your first appointment. Both facials must be booked and used by 30/06/2019. This upfront cost for both facials is non-refundable once you have received your complimentary Pollution Defence Cream.